Apologize To Your Client Now! “I’m sorry” in the business world goes a long way, especially when we fail to meet our clients expectations. As business owners we have so many things going on that sometimes we fall short and our clients suffer. Today I’d like to give you 5 tips on why apologizing to your client is a good business practice you should implement in your photography business. 1. 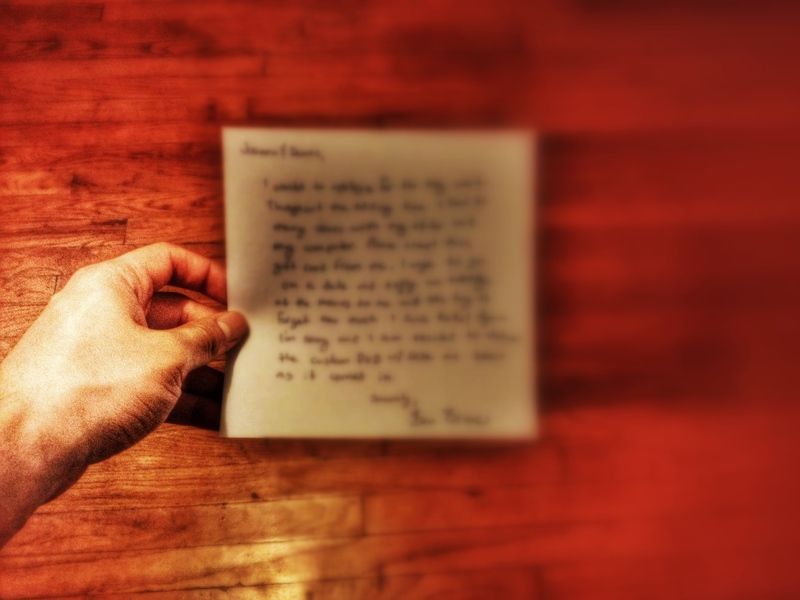 Saying “I am sorry” in person or via a hand written letter reminds the client that you are just as human as they are. Sometimes clients see us a brand instead of a person and they might disconnect, making them a little meaner to us when they are upset. Remind them you’re a person too with an apology letter. 2. Saying sorry reminds you to never make that mistake again. As business owners, we are dealing with so many things sometimes we fall short of what said we would deliver to our clients. Growing a pair and telling your client why you messed up will save you from future ordeals. 3. Bad reviews are just as helpful as good reviews. Never delete or remove a bad review on your business because then you would just be lying to future clients. My suggestion is to apologize publicly to that client rather it be on your Facebook page, in a blog post, on your google place, etc. This will show future clients that you are real and can be trusted. 4. Throwing in a gift card or some type of gift in your apology can quickly change the clients mood from I’ll-Never-Hire-You-Again to You’re-Not-That-Evil, which in the long run is good because you have a higher chance of the client referring you to friends and family. 5. Saying sorry should be limited. You shouldn’t have to be apologizing more than 4 times a year. Think of it as one of those rare Mario Party Candy like the Bowser Candy that allows you to steal everyone’s stars. Keep your apologies in your secret weapon drawer and only take one out when you absolutely need it and your reputation is on the line. TO DISCUSS SOME SITUATIONS WHERE YOU HAD TO APOLOGIZE TO YOUR CLIENT AND WOULD LIKE SOME FEEDBACK PLEASE FILL OUT THE CONTACT FORM BELOW. TO HEAR PERSONAL STORIES OF TIMES I HAD TO APOLOGIZE TO A CLIENT PLEASE FILL OUT THE CONTACT FORM BELOW. As already stated it’s extremely important that both of you have pictures together “as a couple” (hugging, kissing) that would tell to potential “hunters” that she’s taken and happy from a relationship with you, thus not leaving any room for hopefully ,.